At Krono, we are always looking for new ways to redefine marketing solutions- transcending boundaries and reaching new milestones with every new service that we provide. 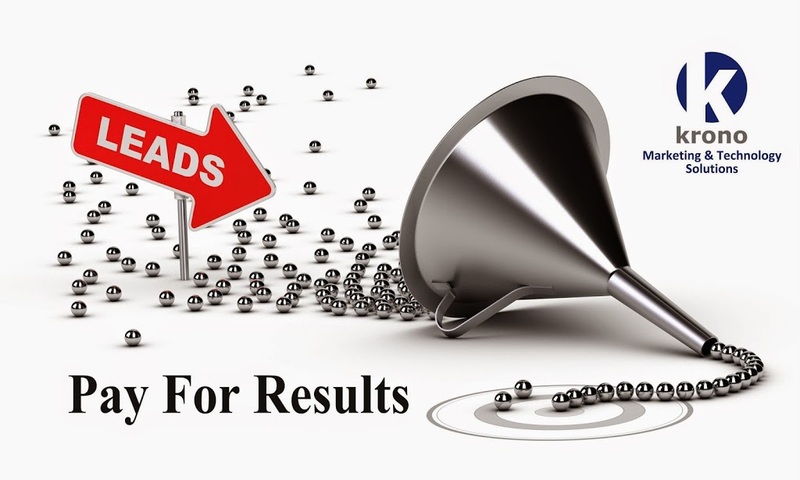 Now, for the very first time we introduce a real time Pay-Per-Genuine-Lead (PPGL) marketing solution- here, every lead that we provide is qualified, and most importantly, genuine. · It’s simplistic and scalable. · Its complete manual verification- a dedicated team following up with every lead with a set of questions that separate the genuine from the junk leads. · No large upfront fees or contract lock in- stop the service anytime, at any point! · At manageable costs, this is the one-stop marketing solution for Corporates and SMEs. Whether you are in the market of holiday packages, a pioneer in the real estate industry or a stalwart of the dotcom business, Krono’s PPGL solution is the way to go. After all, rest assured, when it’s Krono! Our company profile ( http://www.kronoiinc.com/images/Krono-E-Brocure-pdf.pdf ) also features a shortlist of some of our clients which would hopefully reassure & convince you that your brand & business are in safe hands of people who are specialists at what they do. Assuring you of our best services always & looking forward to your feedback.